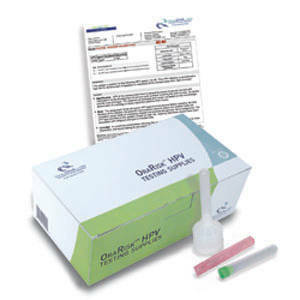 The OraRisk HPV test is a noninvasive, easy-to-use screening tool to identify oral HPV. OraRisk HPV from OralDNA Labs provides the clinician with the ability to establish risk for HPV-related cancers of the oral, head, and neck regions and determine appropriate referral and monitoring conditions. Early detection of oral HPV presents an important opportunity to detect those at risk for these types of cancers before symptoms appear. Autism: Could spit be the answer to a definitive biological diagnosis?